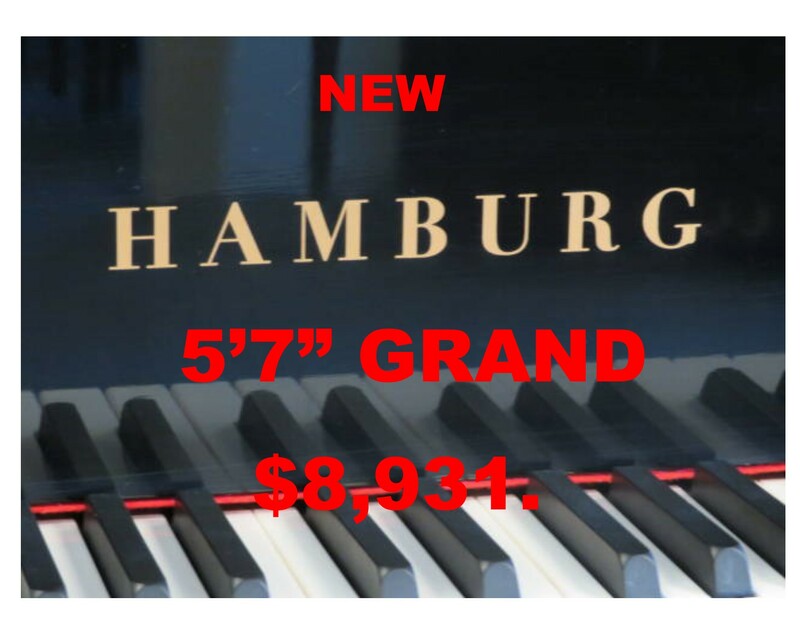 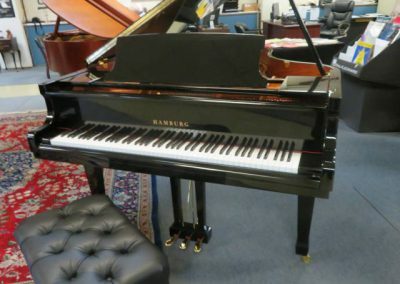 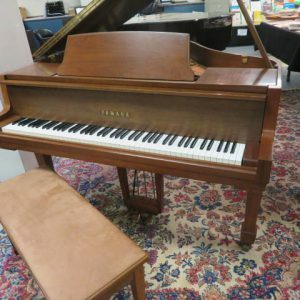 This HAMBURG 5’7” Grand is a Premium Grade (not Promotional grade) grand and includes a matching adjustable artist bench. 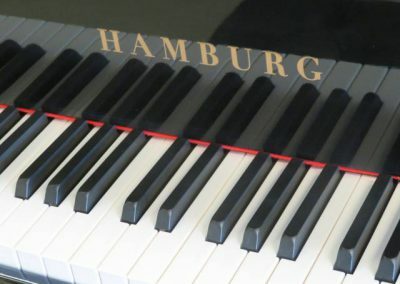 Hamburg pianos are top tier pianos in all ways These grand features German Wide Tail Design (This allows for a larger soundboard area, producing a richer sound), Wet sand cast plate, solid Alaska spruce soundboard, hard rock Maple rim and pin block all combine with a precise, balanced consistent touch of the finely tuned action, providing you world class performance. 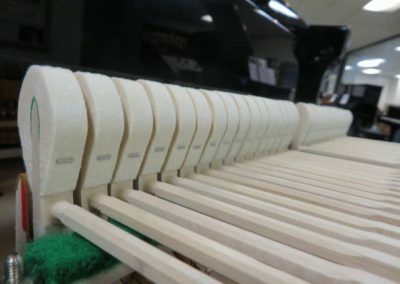 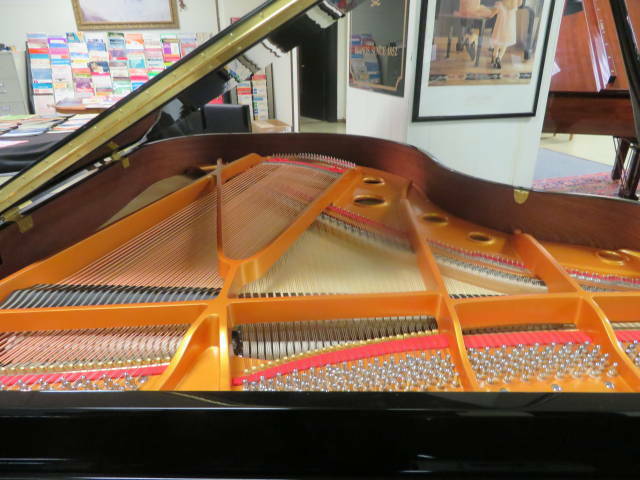 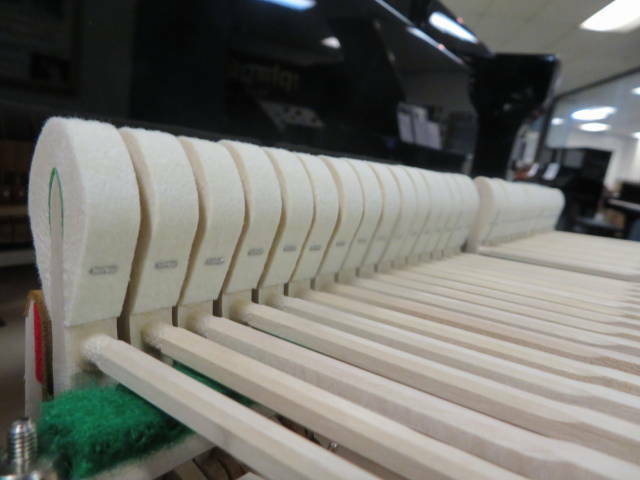 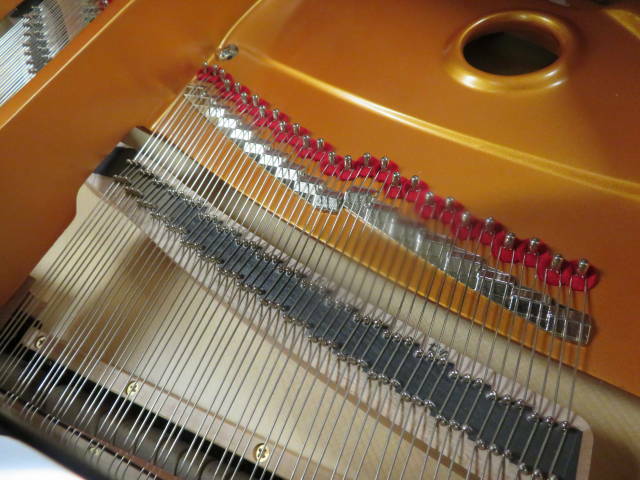 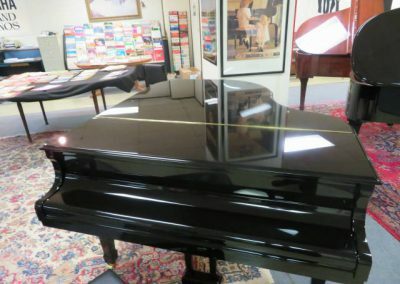 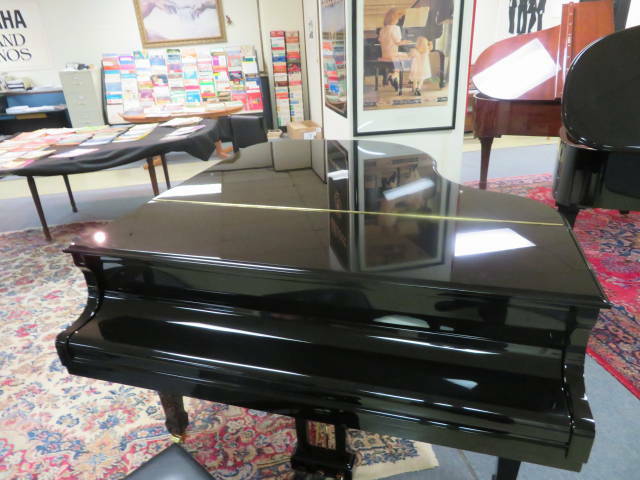 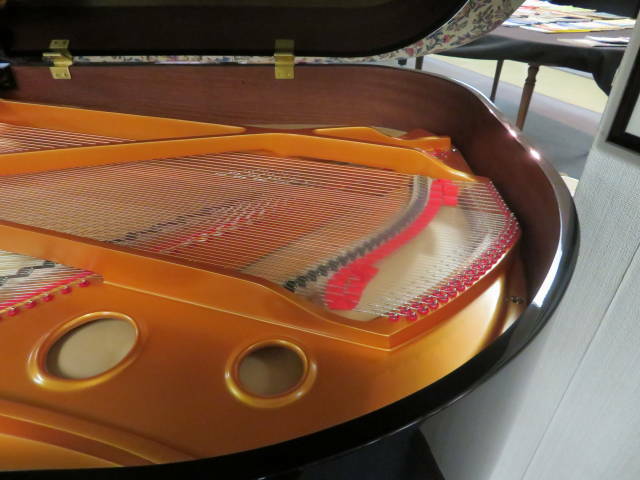 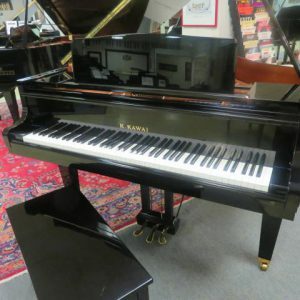 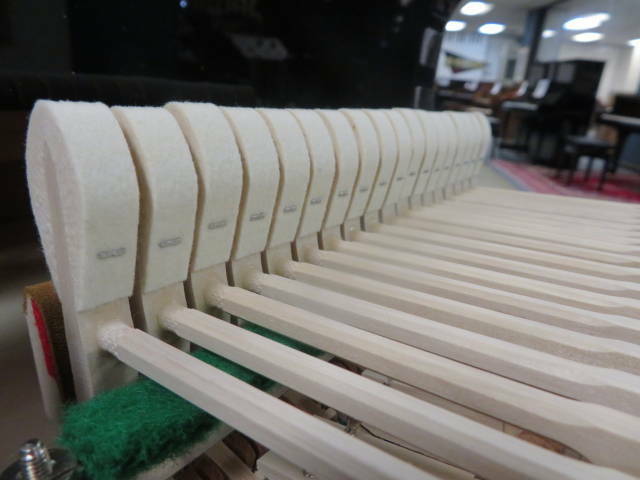 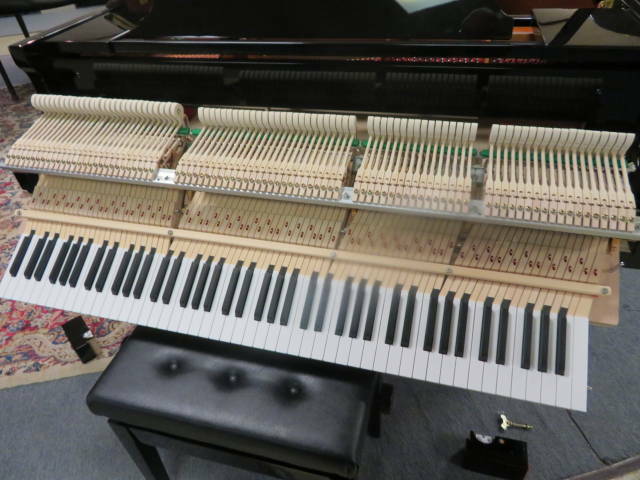 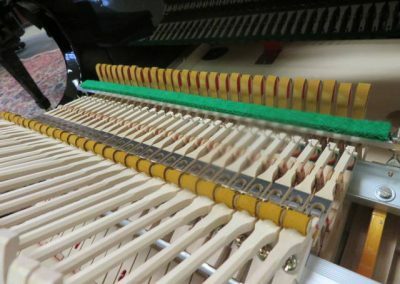 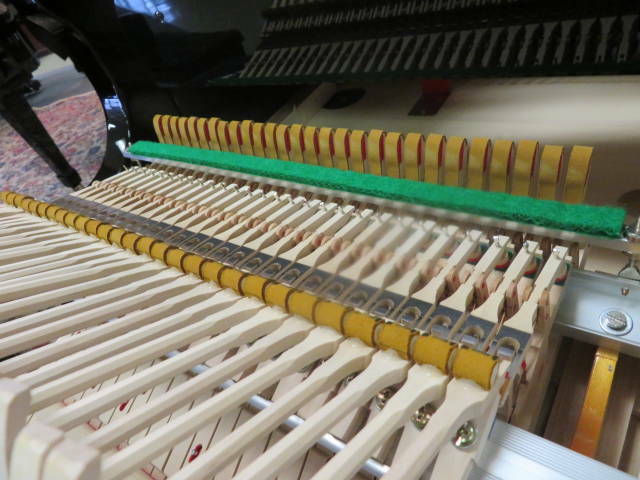 The polished ebony case encloses a 5’7” grand piano that performs and sounds like a much larger instrument. 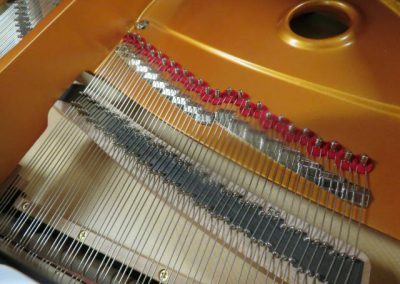 Beautiful satisfying tone, proper touch and response, reliable and consistent performance are qualities demanded by professional musician. 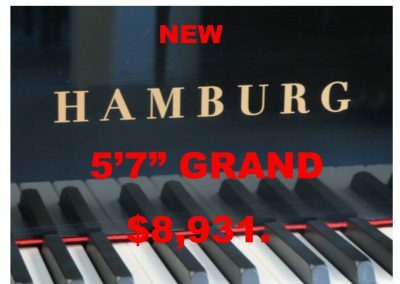 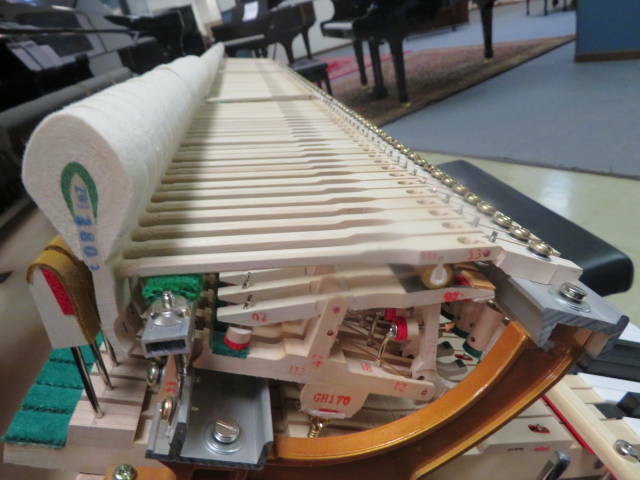 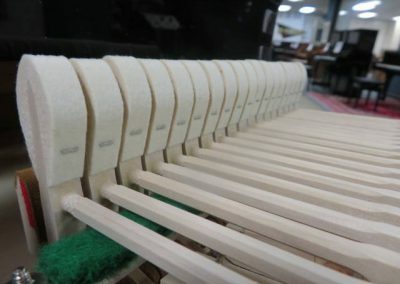 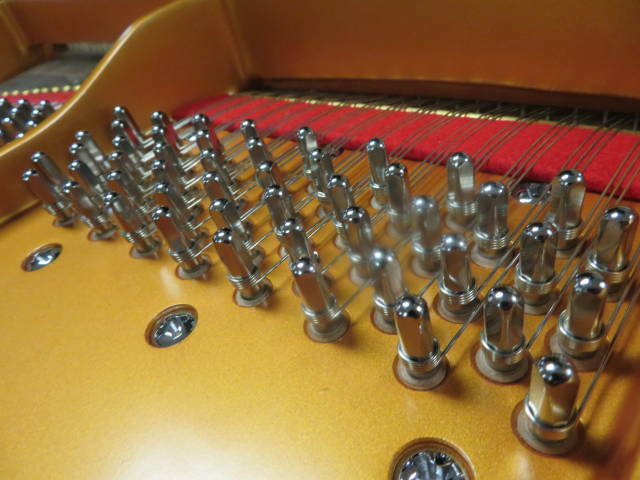 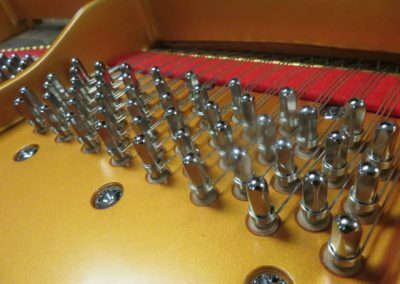 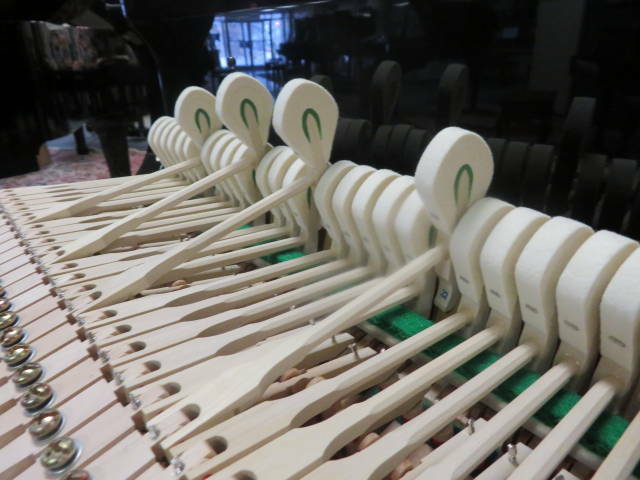 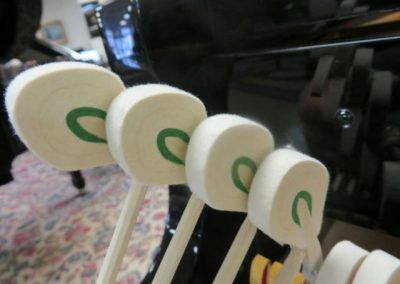 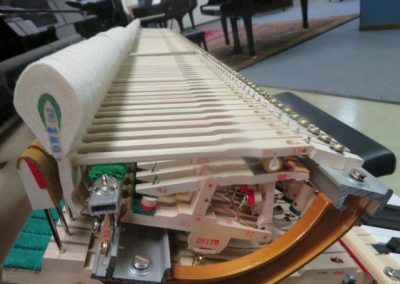 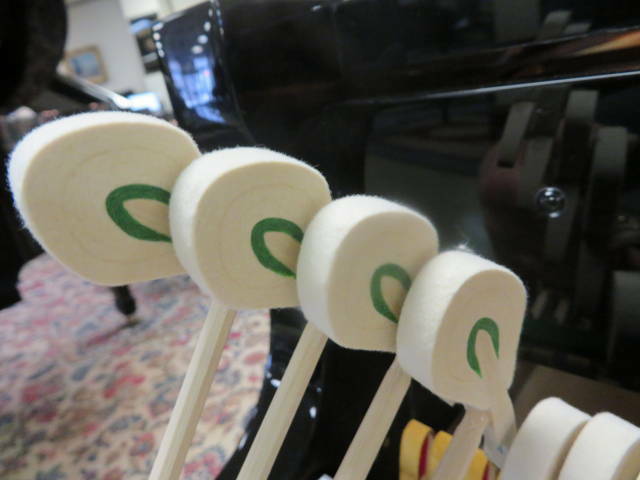 These same qualities are yours with a Hamburg Grand Piano. 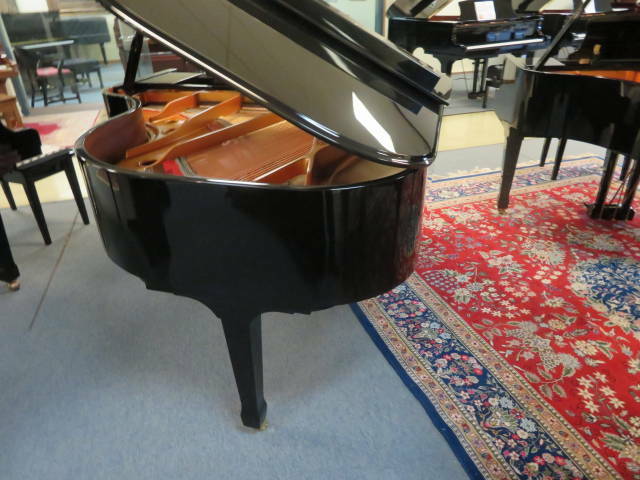 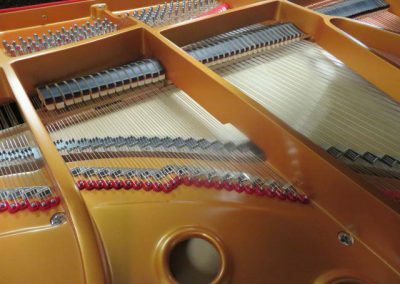 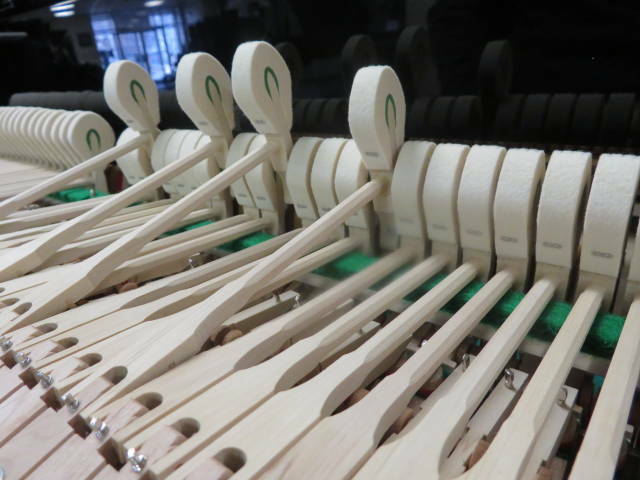 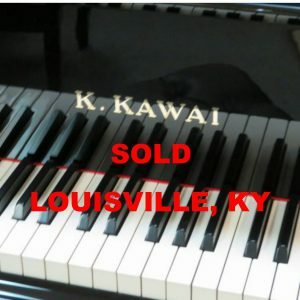 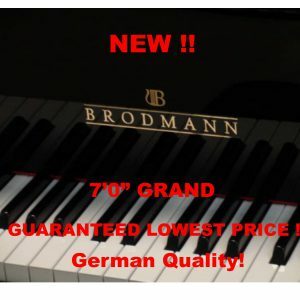 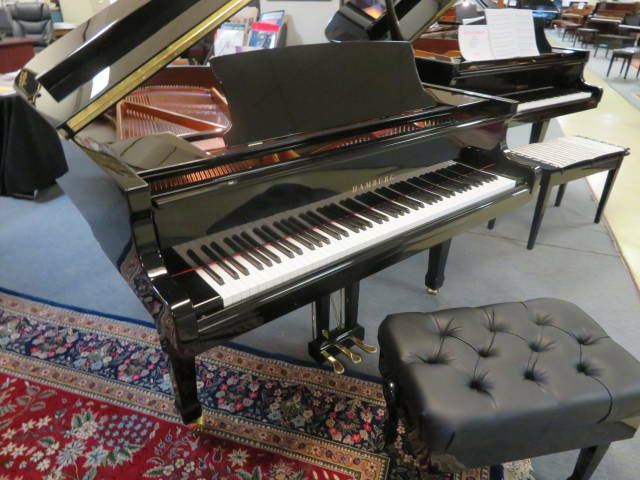 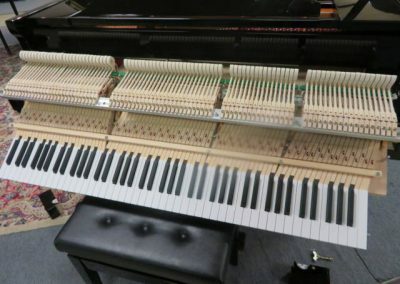 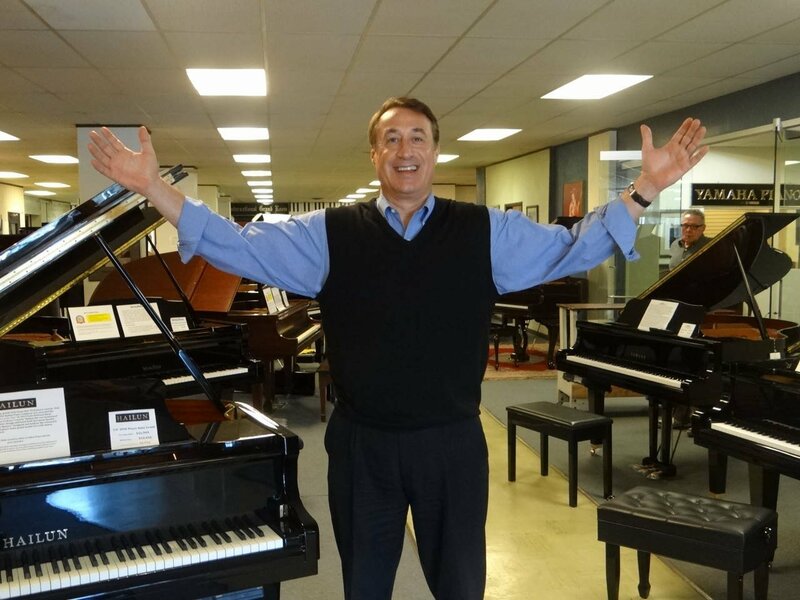 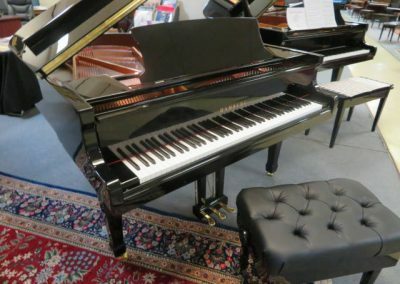 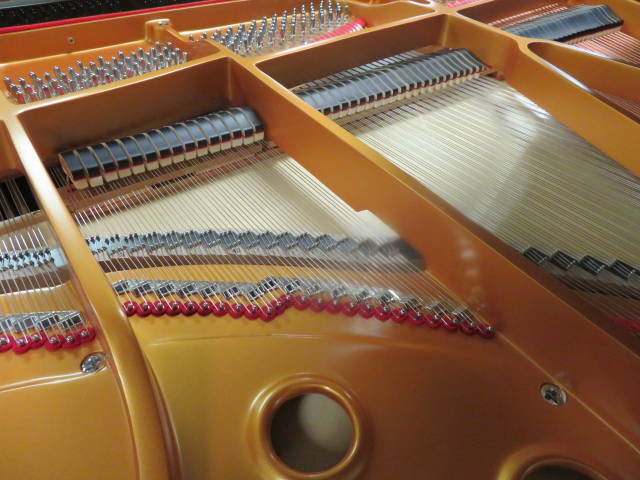 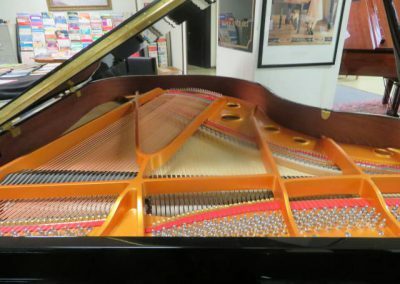 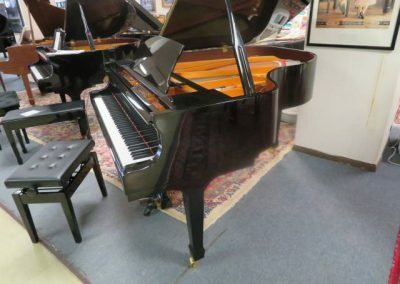 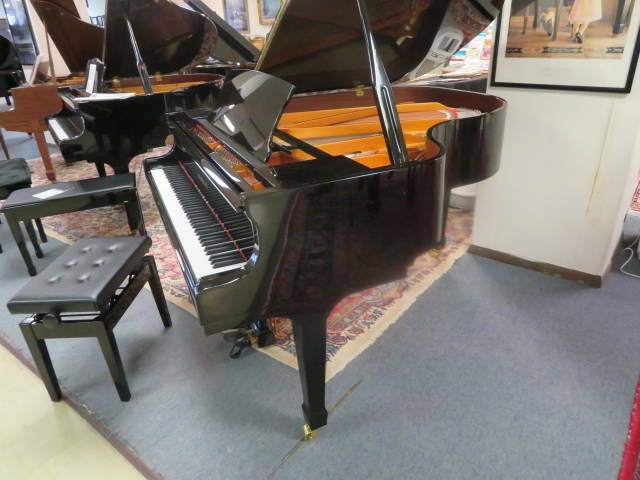 Enjoy the fantastic touch and rich tone in a Grand Piano that is one of the best values in the market today.